Writing is something that I have enjoyed doing for as long as I can remember. I liked the writing assignments in school, and usually thanked God for the essay questions on tests as they almost always brought my scores up. And I was one of those weird kids who actually loved to diagram sentences. The English programs in both my junior high and senior high schools were very strong, and I had some excellent teachers along the way. Most memorable, though, was Jerry Wadden. Mr. Wadden taught A.S.P. English, which I took my senior year in high school. It was an advanced placement class, and I will never forget the first day in his classroom. He laid down the law about how hard the class would be, the number and difficulty of the assignments we would be required to complete, and the rules of his classroom. 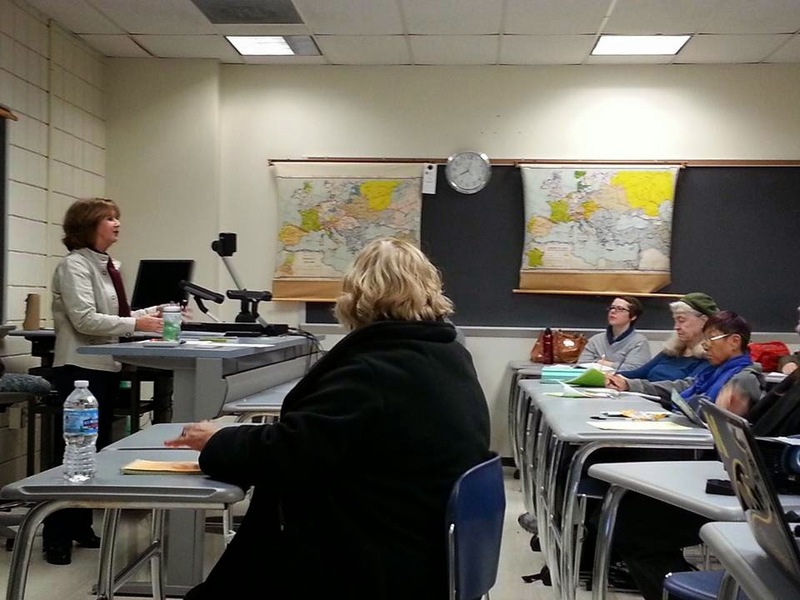 A number of students immediately dropped the class, and I am not going to lie - I considered doing so myself. After all, it was senior year. Did I really want to work so hard for a class that was not even required for graduation? Obviously, I stuck with it, and it was one of the smartest decisions I ever made in my educational process. While the class did require a lot of work, it truly made us think and question as young nearly-adults. And my writing skills grew exponentially in his class. Mr. Wadden was a fair teacher, but he pushed us to be critical thinkers and writers. And he was very supportive of those of us who were going on to college. A year or so ago a classmate gave me Mr. Wadden's email address, and we have since been corresponding. He remembered an impressive amount of information about me, including where I had been planning to go to college and what I was going to major in. Surely he must have kept note cards on his students? I was grateful to have the opportunity to be able to thank him for the impact he has had on my life. He was not surprised that I have authored books and have my own publishing company. My 40th class reunion is this summer, and I have invited Jerry (as he insists that I call him - it still feels awkward to do so) to join us. He is planning to attend, and I can't wait to see him. There are some things that are better expressed in person. My speech teacher Mr. Springer will be there as well. 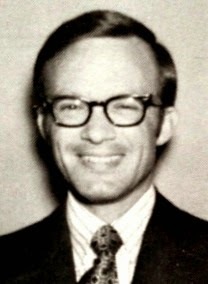 He is another man who shaped the type of college student and later employee that I would become. I owe him a thanks as well. Have you been thinking about writing a book? Most people that I talk to say, "I want to write a book!" when I tell them what I do. Having published three books, I would encourage you to look first at why you want to write a book. Because it is on your bucket list? Because you seek fame and fortune? Because no one else has written on the subject you are passionate about? The second thing you need to consider quite seriously is who is your audience? Despite what you might think, the answer is not "Everybody!" Even the Bible is not read by everybody. If you intend to make money from your book, then it is important to know who will buy it. Because the reality is that writing a book takes an enormous investment of time and energy, not to mention expense. Yes, there are ways to minimize the cost of producing a book but there is no way to generate a quality book for free. Because I write books that are geared towards a very specific, niche market I know that my books will not make me rich. Or get me on any best-seller list. And I am okay with that, because I think they contain information that is useful to the market for whom they are intended. But that also means I am going to be smarter about how I approach my books in the future. 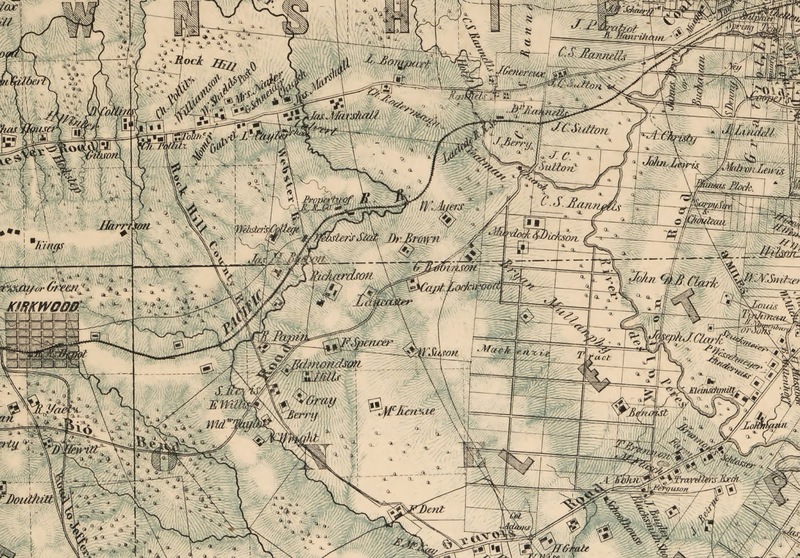 For example, I have been researching John Murdoch for several years, and have a sizable amount of information and documentation about his life in St. Louis from 1838 until 1880 when he died. But I have to ask myself a) is it enough for a book and, b) who is the audience for the book? At this point I believe a print book is out of the question due to all of the expenses involved. 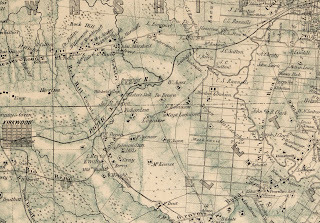 An ebook might be a possibility, except that I would want to include the maps, deeds of trusts, plats and other documents that really help to tell the story of John Murdoch and early St. Louis history. Ebooks are not quite there yet, with the exception of those in PDF or Apple product formats. What I am considering at this point is submitting a story for possible publication in Gateway, the magazine of the Missouri History Museum. On their website they offer submission guidelines, but I also wanted to see the actual magazine to get a feel for what their articles look like. Unfortunately they do not have any past issues online, so I went to the Missouri History Museum in Forest Park yesterday to purchase a copy. What I found in looking at the magazine is that it is only published once per year. 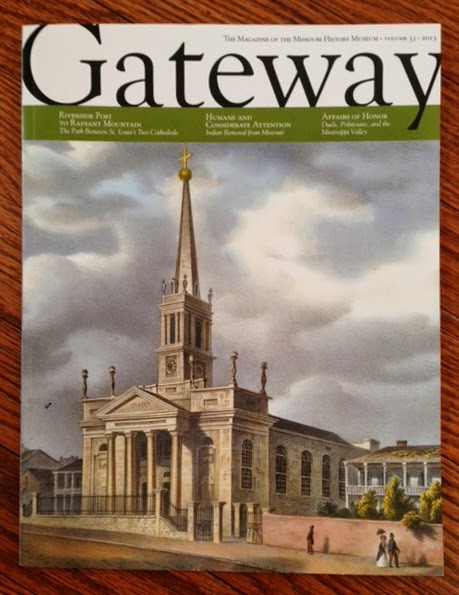 I suspect the 2014 issue will be chock full of articles about the 250th anniversary of the founding of St. Louis, so it might be difficult to be published this year. But I believe I can put a spin on the article to make it fit. 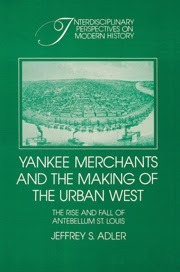 After all, Murdoch was an early settler in St. Louis. So if you have a story but are not sure that it is ready to be told in a book, I would encourage you to look at newspapers or magazine as an option for publication. It gets your story out there, and you can gauge interest in your topic to help you determine if a book is something to consider down the road. While I was at the Missouri History Museum, of course I had to photograph their Cakeway to the West (as well as a few others in Forest Park). If you are unfamiliar with the cake project or all of the other activities taking place in St. Louis this year, head on over to stl250.org. As writers and authors we know how terribly important it is that we build our platform prior to publishing our book. 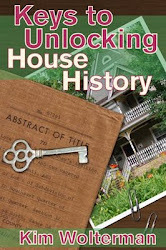 Myhousehistory.net became a reality in 2008 as I was writing my book about researching house history. I like to keep up to speed with all the changes to blogging and social media by attending workshops on the topics. So on Saturday I headed out to St. Charles to attend Bloggy Bootcamp. Organized by the SITS Girls, Bloggy Bootcamp is a one day blogging and social media conference for women. I attended this event the first time it was held in St. Louis two years ago, and picked up many new tips and met some amazing bloggers. That was also the first time I was introduced to Mirassou wines as they were a conference sponsor and hosted a wine tasting at the end of the meeting. As a self-proclaimed wussie wine drinker, I was ecstatic to find the Moscato wine by Mirassou. It is my go-to wine for everything, and I have introduced many of my family and friends to it. My husband is a fan of the other Mirassou wines as well. When I went to the conference in 2012, I was definitely the oldest woman in the room. A lot of blogging space and attention is given to the mommy bloggers, and while I am a mom I was definitely not anywhere near the same stage of motherhood as the other women in the room. I am an empty nester, but not yet a grandmommy blogger either. But that didn't stop me from getting to know some truly interesting gals with whom I still interact today. You can read a recap of my first Bloggy Bootcamp here. As I was driving to St. Charles I had the 70's station on in the car, and it occurred to me that I was listening to music older than most of the ladies I would soon be meeting. That is pretty humbling. But what I noticed immediately upon arrival is that there were a dozen or so older bloggers attending this year. (And I was not the oldest!) In fact, this was a pretty diverse group, including two males. I think it made for a richer conference, with folks commenting from many different perspectives. 1. By the year 2018, 80% of the content we consume will be video. Guess I better get busy on the tutorials I keep saying I am going to make. 2. Google fonts are viewable across all platforms, so use those fonts in your blog posts and websites. 3. eBay.com has free tutorials on taking better pictures. Who knew? 4. If Plan A fails, remember that there are 25 more letters. 5. If you want to some day represent brands, start writing about the brands you love and that matter to you. 6. Look at blogs that are successful and see what they are doing right. 7. Facebook is about being relevant in the moment. Share content other than your own as Facebook loves this. 8. Check out picmonkey.com as a free photo editing site. 9. Call yourself a social influencer, not a blogger. 10. And my favorite? If it is not a "Hell yeah!" then it is a no. We need to be okay with telling people no. Amen. If you are a blogger or involved in social media at all, I would highly encourage you to check out local or regional conferences. They are a great way to learn new skills and network with other like minded individuals. As in the past two years, I again participated in the Family History Writing Challenge in February. Organized by The Armchair Genealogist (a great blog to follow if you are interested in writing your family history), the month-long challenge encourages participants to set writing goals and offers valuable tips for bringing your story together. There is also an active participant's forum for the challenge. 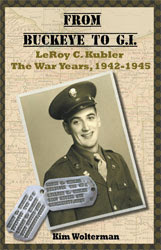 Unlike the past two years, however, I did not write about my family history. Instead I used the challenge to spur me on with my story about John Murdoch. The suggestions and writing prompts offered throughout the month have been instrumental in keeping me on task, and hopefully have made my writing better. My goal is to wrap up the first draft in March, and then I can decide the direction the end product will take. The show that we taped about book writing and publishing has not aired yet. However they do have the YouTube video posted. Here is the City Corner episode. Enjoy! 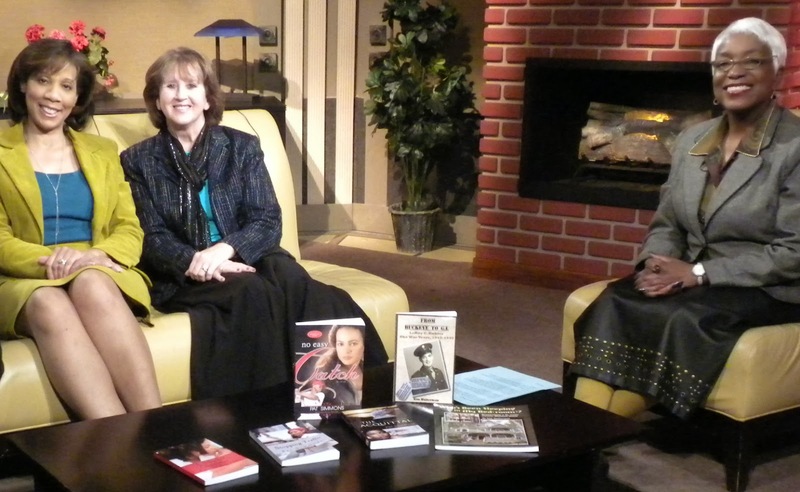 Yesterday I was part of a panel discussion about book writing and publishing on local cable television station STL TV. Hosted by Robin Boyce, City Corner is a current events program about the people, places and events in St. Louis. Joining me on the panel were Christian romance writer Pat Simmons and publisher Keith Antone Willis, Sr. Pat talked about writing books that are set in St. Louis, Keith discussed his upcoming book that is geared towards helping salespeople learn how to sell, and I was able to talk about writing niche books and gave a shout out for the St. Louis Publishers Association. I think that it all went well, and I am eager to see the tape of the show. It was not live, so they are putting the finishing touches on the tape, including the segment that was on after ours. Hopefully it will then be posted on YouTube and I will be able to share a link. 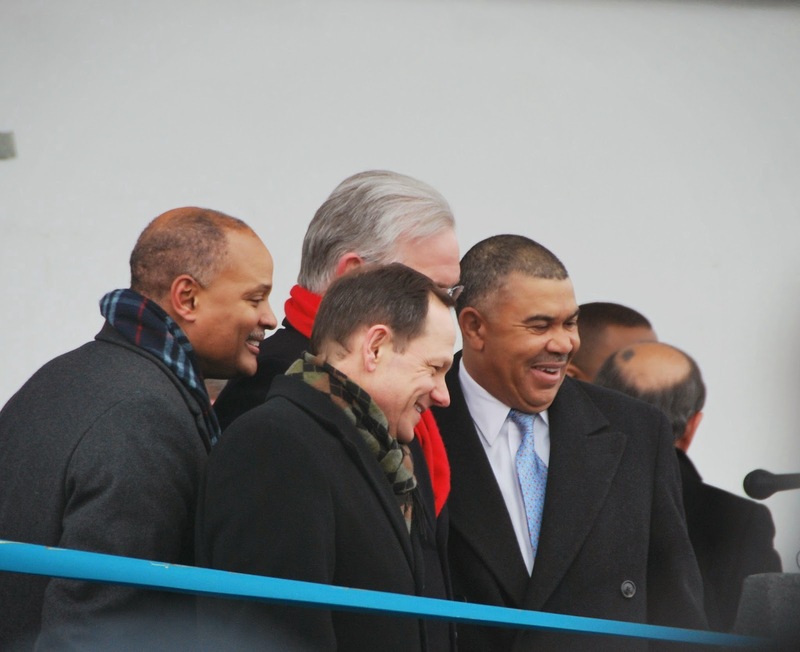 Yesterday was the ribbon cutting for the new bridge spanning the Mississippi River between Missouri and Illinois. 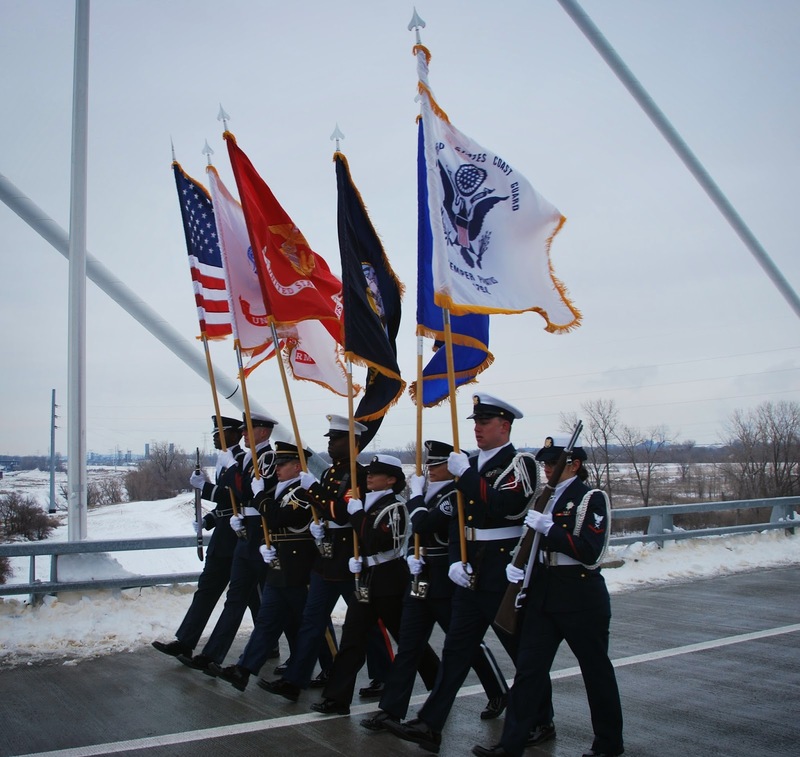 It is named the Stan Musial Veterans Memorial Bridge in honor of a great man who was a World War II Vet as well as a Cardinals ballplayer, and for all veterans in America. For one day only, you could walk, run or bike across the bridge yesterday. I wanted to attend the event for a couple of reason. Despite the cold, I thought it would be a once in a lifetime opportunity as this is a vehicle-only bridge with no pedestrian or bike lanes. But the second reason was maybe more important. The first bridge to span the Mississippi River at St. Louis was the Eads Bridge, which opened 140 years ago in 1874. John Murdoch and his partner Charles Dickson were investors in both the company building the bridge. In fact Dickson was President of the Illinois and St. Louis Bridge Company, which built the bridge. 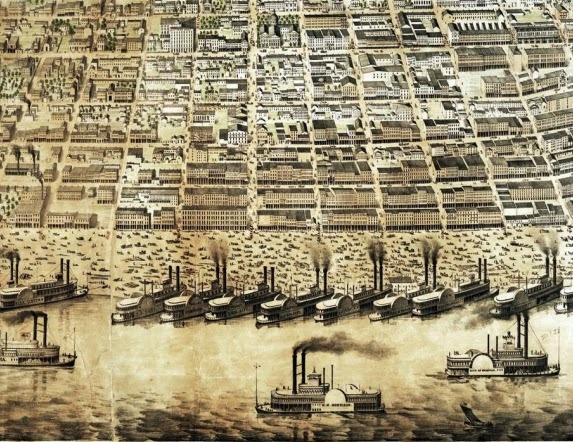 Dickson died before the Eads Bridge was completed, but I imagine that Murdoch attended the opening ceremonies on July 4, 1874. The bridge was first christened by Mrs. Julius Walsh, daughter of Charles Dickson, followed by a 100 gun salute and multiple speeches. Then the parade began. Police, politicians and key citizens were the first to cross, followed by a line of people that reportedly stretched for 13 miles! There were marching bands and fireworks to mark the celebration as well. In attending the opening of the new Mississippi bridge 140 years later, I had a similar experience to Murdoch. There were police and politicians, key citizens and a parade. Nine speeches were given, and while it was a little chilly to just stand and listen, I have to say that each speech was fairly short, mostly non-political, and predominantly inspirational. After walking across the bridge to Illinois, we stayed and enjoyed the parade. There were no marching bands, but the military units, classic cars and the Clydesdale horses more than made up for the lack of music. And I appreciated the fact that the parade was far from being 13 miles long. A walk on the bridge of the future gave me an opportunity to take a glimpse into the past. And that will hopefully make a nice addition to my John Murdoch story. 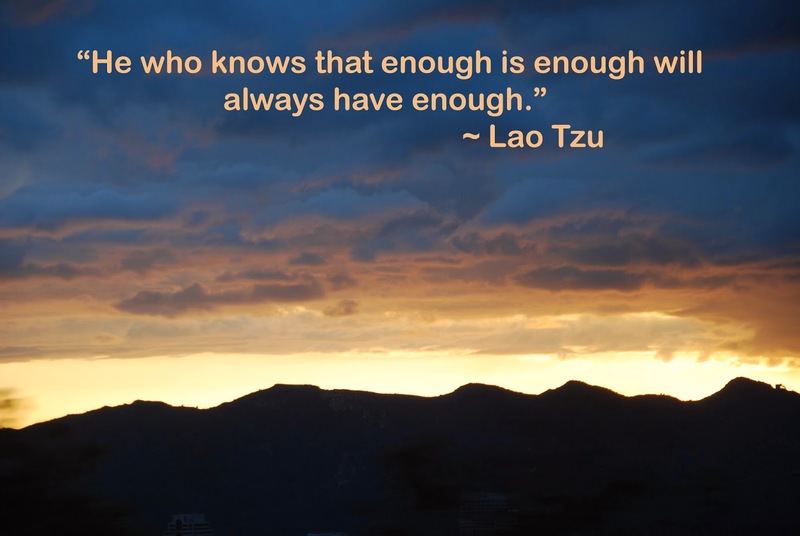 Anyone who is writing a family history, memoir or biography has to address the question of when enough is enough. It is so easy to say that you are just going to look at one more source, or research one more thing for your story. At some point you have to draw a line in the imaginary sand and say enough already. It is hard to do though. I will be double checking a source for the story of John Murdoch, and all of a sudden a new article catches my attention. And off I go on another tangent. So I have had to become more disciplined at this stage of the process. I make a list of tasks that I want to complete each day, and I try to stick to the list. If something new crops up while going through my tasks, then I write the idea down on a Possibilities list. Once the first draft of the story is complete, I can decide if I want to come back and add any of the Possibilities items. Otherwise I will be spending all of my time researching and not writing. I have drawn the line in the sand.